The Bournemouth Foodbank has received presents worth £150 and a further £100 donation from a Freemasons Lodge in the town. 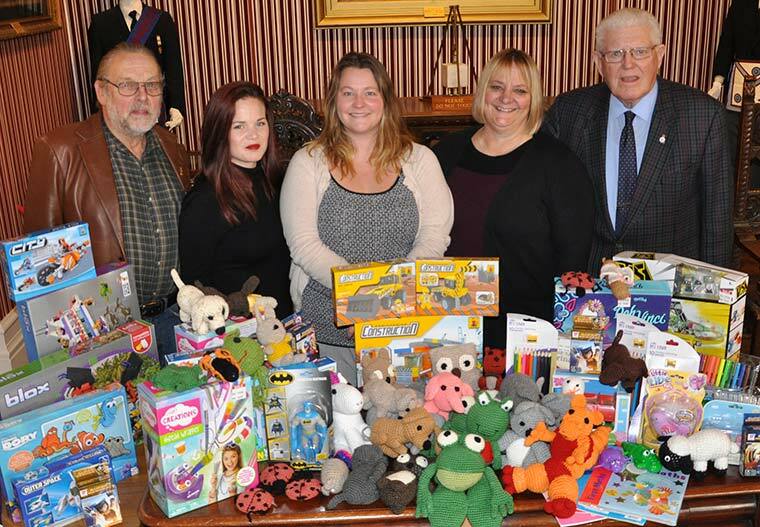 Tony Drake and Alan Davies from Knole Lodge Freemasons in Bournemouth handed over the goods to Debbie Bramley, Kirsty Outterside and Camilla Hawley from the Bournemouth Foodbank charity. Also handed over were dozens of cuddly toys crafted by lodge member David Raynard’s wife Shirley. The toys will be distributed to families in the community and will make Christmas a little but more fun for the children.